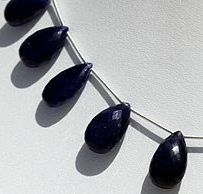 Improve your flexibility and ability to find right solution to any problem with natural and 100% genuine sapphire-flat-pear-briolette gemstone beads. 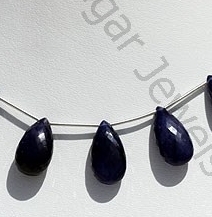 Ratna Sagar Jewels is one of leading wholesale supplier of precious and semi-precious gemstones at cost effective price range. 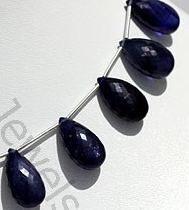 We strive to deliver AAA quality certified and non-treated gemstone beads to customers across the globe. 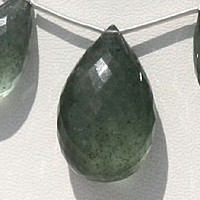 All our gemstones possess vitreous luster. 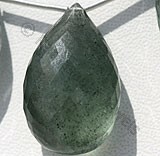 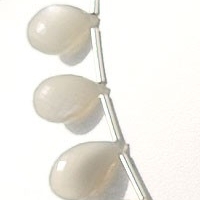 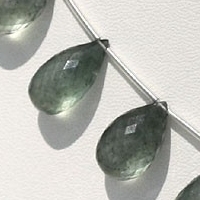 Our online gallery exhibits a wide range of flat pear briolette shaped stones, including Moss Aquamarine Natural Gemstone, Blue Topaz Gemstone, Grey Moonstone, Nature Olive Quartz, Natural Smoky Quartz Gemstone Beads and lot more. 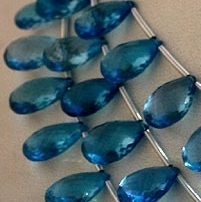 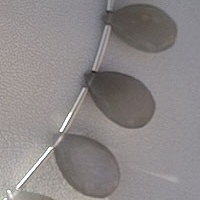 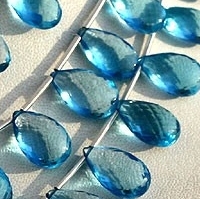 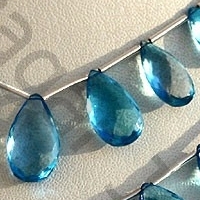 For more information on quality and origin of gemstone beads, please feel free to contact our online representatives. 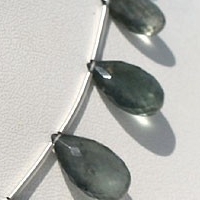 We will be pleased to provide you required assistance. 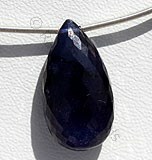 Natural Sapphire precious gemstone treated with glass, possess property of Translucent and are available in deep Blue Color with micro flower cut, Flat Pear Shape. 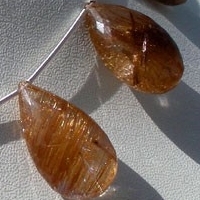 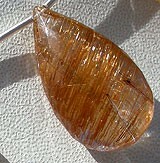 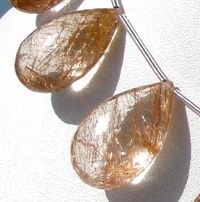 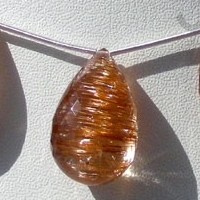 Rutilated Quartz is a variety of natural transparent quartz consist copper rutile hairs range from parallel to crisscrossed, possess property of transparent with vitreous luster in micro flower cut, Flat Pear shape. 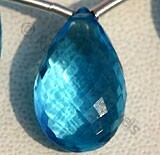 Blue Topaz Gemstone is irradiated and heat treated with colorless natural transparent Topaz to produce a more desired blue, with vitreous luster and are available with sky blue color in micro flower cut, Flat Pear Shape. 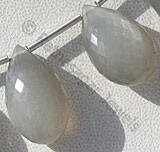 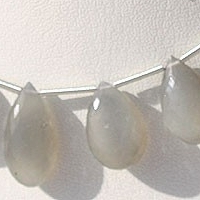 Grey Moonstone is a variety of natural feldspar mineral, possess property of semi-transparent with opalescent luster and are available in grey color with silky sheen in micro flower cut, Flat Pear shape.